how would you re-build the Azerbaijani military aviation? Last edited by Tempest414; 1st July 2013, 11:18. Also they really need to change their MiG-29 camo, it looks horrific. Really? It is a nice change from the usual grey. With Russia protecting Armenia though, through security guarantee, it will never happen. I think, if we look at the situation objectively, the sooner Azerbaijan shifts that goal, the better for the country. it would probably be more beneficial for Russia to side with Azerbaijan... after all they have oil and much more able to buy more Russian wares than Armenia which is a welfare state. does russia want its own israel or a saudi arabia? Not aviation related but Russia started the delivery of a large package constisting of land systems to Azerbaijan, worth about $1 billion. There are options on all military equipment bought, including an option for 94 more T-90. Earlier reports talked of 200 T-90, so probably around that number is considered. So I think the prospects of purchasing new fighters from Russia is there. Also Azerbaijan seems to be seriously interested in YAK-130, pilots of the airforce made flights with it last year. News on Azerbaijan acquisitions are so damn varied. as well as t-84s from ukraine, t-129s from turkey, and now t-90s and hokums from russia. The only legit thing so far from all that, is T-90. Since, it took part in a Baku parade. Who is claiming what exactly? And its not difficult to distinguish between a rumour and a fact. JF-17 was a fabrication of some Pakistani-Chinese source, and the only thing was there was that Azerbaijan was "supposedly" interested, alongside many other countries. How exactly did Azerbaijan end up buying them, I don't know, but it seems to have confused many people. T-84 was likewise along the lines of "interested". T-129 is nothing beyond "interest" so far. There were news on Ka-52 negotiations which can be regarded as rumour, but there is also a recent statement which you can read above, so its probably true, but like said nothing is claimed about a purchase, only negotiations so far. As for T-90, see the post #10. Last edited by AttilaA; 2nd July 2013, 09:51.
and yes, pakistani sources tend to exaggerate interests. I cant see any reason why azerbaijan would want jf-17s when they can get better. as for regaining nagorno-karabakh. the key issue is to convince Russia to drop the armenian side and switch over to azerbaijan. as it stands, russia benefits very little from Armenia, and in fact costs them money to take care of a welfare state. to make it worth while, azerbaijan will probably have to allow russians to move their armenian bases to azerbaijan in exchange. Russian stance is to avoid conflict not to instigate it so not gonna happen. Aliyev knows that trying to emulate Saakashvili is the fastest way to lose his position and Georgia is trying it's best to restore relations with Russia. Erdogan is going downhill and economic ties with Russia are more important for Turkey than supporting another sectarian conflict in the neighborhood, and looking for support somewhere else, like in Israel, is going o render the same results. What welfare state? Russia doesn't spend very much to support Armenia, this isn't some multi billion dollar money sink. They help support the 102nd base in any case. Russia isn't moving out of Armenia, you can stop theorizing past that. your entire post is moot because Azeris have no interest in fighting with Russia or emulating Saakashvili. they just want nagorno karabakh back. Ali Hasanov, Azerbaijan's deputy prime minister said in March: "President Ilham Aliyev has always promised a military solution to the [Nagorno-Karabakh] conflict and he still has the issue on the agenda. The option of a military solution is always on the table, but the most important thing is how this kind of operation will be carried out. We need to become much stronger so that if we become involved in combat in Nagorno-Karabakh we can stand up to Russian troops, because that is who we will have to face. 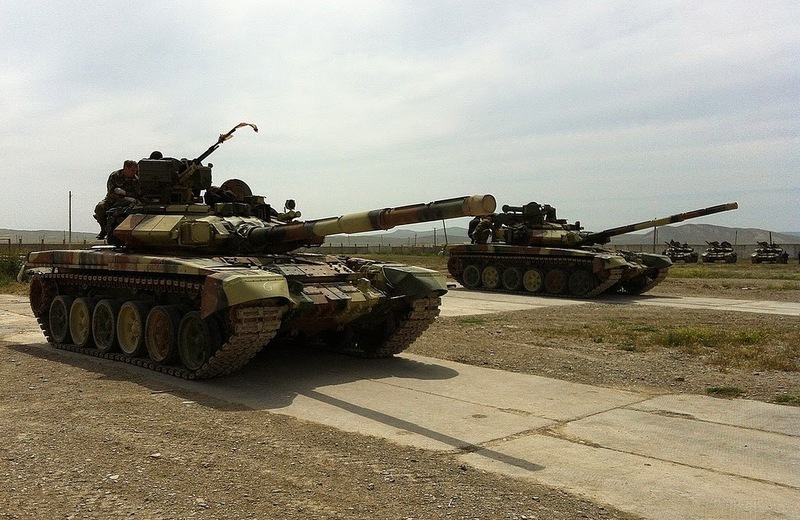 The question is, will the Russians want to defend Nagorno-Karabakh. its a situation between Armenia and Azerbaijan, not between Armenia-Russia and Azerbaijan. This is not like Georgia where Ossetians were also given Russian citizenship. Azerbaijan also doesn't have a negative relationship with Russia, unlike Georgia. But both Russia and Azerbaijan can take it to the next level because Azerbaijan is a partner that gives better benefits for Russian than Armenia, which is a welfare state. Russia subsidizes gas for a whole lot of ex-USSR countries. It ain't abandoning Armenia for Azerbaijan, end of story. Far too useful of a relationship in terms of maintaining influence in the area. If anything we will see Russian forces in the area receive new weapons, Iskander for example. Armenians with any sense know Azerbaijan would just buy weapons from elsewhere; the close defense pact with Russia makes it irrelevant anyways. War in Ngrono-Karbakh= Armenia joins in. Armenia joins in, Russian forces are obligated to assist them, not to mention they patrol Armenian Air Space. Aliyev comes off as a hot-head, but unless he is stupid, he realizes Russia will not just stand by. but you're avoiding the point. what exactly does Russia benefit from Armenia? worried about US influence? well thats why you put a base in Azerbaijan first! Simple, a well established military relationship + a base. Why would it abandon that for Azerbaijan, where they couldn't even agree on an old radar station? No need to break relationship with Armenia, just have a working one with Azerbaijan. Armenia is a long time ally, breaking relations would not look good domestically or abroad. Leonardo brought a M-346 advanced jet trainer to Azerbaijan on May 10. Senior leaders had a close look at the aircraft, the press release said. Given their recent Su-30SM order, wouldn't the Yak-130 make more sense? Wut!? What recent Su-30SM order?